Our topic today is rather serious. There is no other force on the planet that is as devastating as war. And of its victims, none are more seriously affected than the children. Our guest today, Kim Phuc, understands this first-hand. 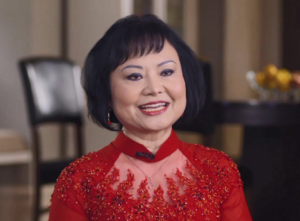 She is the subject of an iconic photograph that is found on the cover of the book that she has just released entitled Fire Road: The Napalm Girl’s Journey through the Horrors of War to Faith, Forgiveness, and Peace. Offer Description: Unable to accept or give forgiveness for things in life is a very common problem people have. It contributes to anger, mental and physical pain, guilt, and though the answer is a simple one, it isn’t often put into practice. In this tract, Larry Yeagley explains, from his experiences as a chaplain, how to get people to respond and experience forgiveness with others and with God. Accepting forgiveness and giving it are vital to mental freedom.